I am in the planning stages right now for my big Christmas Card Stamp-a-Stack this coming Friday and Saturday, and here are a few swaps from convention to get my (and your! )creative juices flowing! This was a swap one of my downline received at convention, therefore I have no idea who created it, but I have all the supplies on hand, so it is a definite possibility! I love the unexpected color combo of this "Winter Post" card, Pale Plum and Rich Razzleberry! I love the use of the "Side Stair-Step" technique for this "Season of Simple Grace" card! And lastly, I love the Medallion technique used with this stamp from "Sweet Season"! As with the first card shown, all of these were swaps I took pictures of but do not have in my possession, therefore I cannot give credit to the fabulous creators! If you have an opinion about these cards for my class, leave a comment here! Well, it's back to stamping for me! Christmas Treat Box/Hostess Gift/Birthday Special! It's one of our new Treat Boxes, shown on pages 28 & 29 of the new catalog! I embellished it with the Real Red 3/4" Polka Dot ribbon, and a tag I created using the new "Stampin' Up! Two Tags Bigz Die, the Snowflake punch, Bold Brights Brads, and the cute new stamp set I got in my convention bag, "Sweet Season"! Nestled inside the box, displayed here, was a Kit Kat bar wrapped with some of the "Merry Moments" DSP & "Sleigh Bells" cotton ribbon from the upcoming Holiday Mini! I also included three "incentive stamps": "Created for you", "Best Wishes", and "Friends"! Incentive stamps are available to exclusively to demonstrators to let us economically purchase to give as gifts to our hostesses and stampers. I love being a Stampin' Up! Demo! EVERY hostess who books with me from now through the end of December will receive this Treat Box with similar treats, tag, & stamps! You will also be able to choose a free stamp set from my "pink stamp bag", as well as the generous gifts from SU! based on your party sales total. And, during Sept, Oct, & Nov, when your party total is $250 more you as hostess (and ONLY hostesses!) can purchase any one item from the Holiday mini for just $10!) Contact me today to get your party on my calendar! I still have dates available, even in Sept! Well, there's a big birthday party at my daughter's house today for all of our family's August birthdays, and guess what? It's my birthday on Monday, and I will be the BIG 5-0! In honor of my birthday, as well as Ava's (4), Johnny's (31), Ben's (17), Kimmy's (28), and Cody's (24), I am offering a one-week 50-50-50 birthday special! Order $50 in SU! stampin' supplies (before shipping & tax), then you may choose any ONE package of Designer Series Paper from pages 160-163 for 50% off! If you decide to order $100 in stampin' stuff, then you can choose TWO packages of DSP for 50% off, and so on . . So, I'm turning 50, you spend $50, YOU get 50% off DSP! How does that sound? Have a great weekend! I know I'm going to! I just got back to my computer since I wrote that post earlier, and realized I promised TWO techniques, then only showed/told you one! SHAME ON ME! Okay, so I'm back from the technique class (GREAT CLASS, by the way, with WONDERFUL, FUN ladies to stamp with! Hello, Harrisburg!Thanks for such en enjoyable afternoon! )the second technique we learned today was Layered Brayer, so here it is! We started with the Pretty Petals background with Pale Plum on Pale Plum. Next we embossing buddied a piece of glossy white cardstock, then stamped it with the "Petal Pizazz" stamp set in Versamark. We then heat embossed all the flowers, then brayered the whole piece with Pale Plum ink. We buffed the excess ink from the card with a Kleenex, then masked areas of the piece with masks we had punched with Post-it notes and the Scalloped Circle and Boho Blossoms punches. We had added extra stickiness to the masks with Dotto repositionable adhesive. We randomly covered both embossed and brayered areas with the masks, then brayered again with Rich Razzleberry ink. After buffing the excess ink again with a Kleenex BEFORE we removed the masks, we were ready to assemble the card. The greeting is stamped with "Kind & Caring Thoughts" Hostess Level 3 in Rich Razzleberry, punched with the Large Oval punch, and layered on the Scalloped Oval. Actually an easy-peasy card! That's it! Again, I'm so sorry I promised you two techniques, but only delivered one! Please forgive me??!! or go direct to my SU! 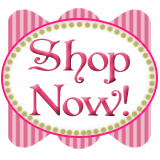 website: www.carolpayne.stampinup.net Just click on the "Shop Now!" button and you will be guided through the steps to place your order, which will be shipped directly to you! I participate in a monthly themed card swap, and while I am waiting to get mine back in the mail I will show you the one I stamped for it using "Delightful Decorations" and the Ornament punch from the upcoming Holiday mini (it starts on Sept 1st - you should be receiving your copy from me in the mail any day now!) If you don't receive one by Sept 1st-contact me and I will make sure you get a copy! Lots of embossing on this one! I only had to make 21 of these, so it wasn't as bad as the 100 card Founder's Circle swap I mailed off the week before, but I embossed the Medallion background in Ballet Blue Craft ink with Clear e.p., the two silver ornaments are embossed Brushed Silver Cardstock with Silver Encore ink and Silver e.p., and the Ballet Blue ornament and the "Christmas Greetings" are embossed with the Ballet Blue craft and the Clear ep. I can't wait to get my 20 different cards back! "Christmas in . . ." Stamp-a-Stacks! Wishing you could get a head start on your holiday cards? Thanksgiving instead of rushing the week before Christmas? When: Friday, August 28th, 1 p.m. & 6:30 p.m.
Saturday, August 29th, 10 a.m. & 2 p.m.
at this event of $50 or more, the class fee is FREE! if you have never been here or it has been awhile! Future "Christmas in . . . " Dates! Can't make this class? Want to come to them all? Friday, September 25th 1 p.m. & 6:30 p.m.
10 cards for $20 or free with $50 purchase! Friday, November 20th 1 p.m. & 6:30 p.m.
Saturday, November 21st, 10 a.m. & 2 p.m.
class and your class is FREE! or more to be redeemed at your party! for all hostesses from Sept 1 - Nov 30th!